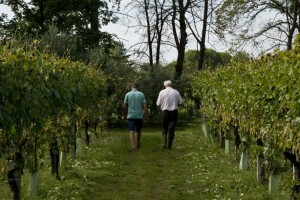 The vine Rebola has been grown in the area around Rimini since ancient times. Some documents dated 1378 name the “Ruibola or Greco [Greek]” as a vine with white berries coming from Greece, and very similar to other varietals of central and southern Italy like Greco or Grechetto. In time this vine almost disappeared from our territory but it has been recently rescued by some confident wine growers who have been able to exploit its great potential. From this rough, medium producing vine we get wines fruity and smooth wines with good alcoholic strength and very pleasant scents both of citrus fruit and vanilla. The colour ranges from straw yellow to amber. When aged in wood it acquires rich complexity both in the dry and semi-sweet type though it’s the outstanding “passito” (raisin wine) style that is becoming more and more popular among the best wines from Romagna. This vine has been grown in most of central and southern Italy for centuries and is the stalwart of the great wine-making tradition in Romagna: historical references of the XVIIth century mention a “Sangiovese” from Romagna both as wine and vine. Its origins are uncertain but the name could come from the Latin “Sanguis Jovis” (Jupiter’s blood) and would testify the ancient link between wine and godhead. 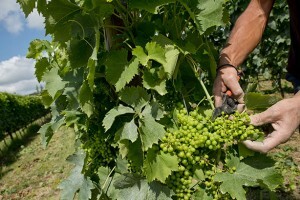 The clone mostly grown in Romagna is the so called “small berries”, a vine which requires a highly vocated terroir to grow. 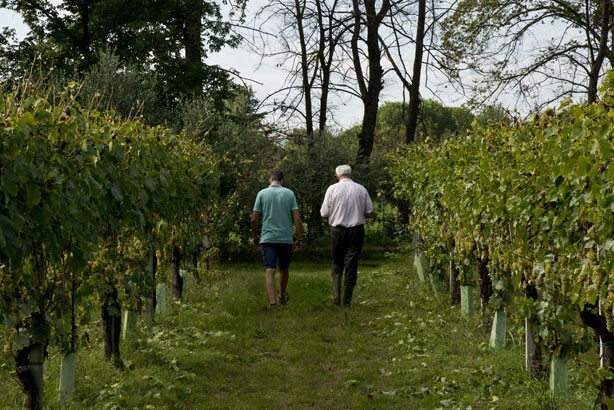 It seems that the clayey hills around Rimini are ideally suited to the Sangiovese grape, and make the most particularly of the variety’s finesse and character in the area of Coriano. The vine is really versatile and can give young fruity jug wines as well as great reds to be aged. The colour ranges from intense ruby red of the younger wines to the garnet or orange of the more aged ones. The bouquet recalls red and black fruit -sour black cherry, strawberry, blackberry, plum– and also flowery scents of violet and rose. The wines aged in barrique show spicy and charred tertiary notes. 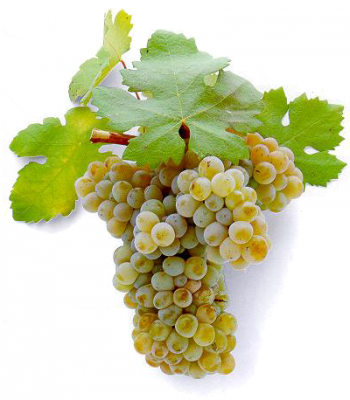 The vine Bombino Bianco in Romagna is given this funny name which in our dialect means “pay debts”. The reason for this is that the vine is very tough and even in the unfavourable years it was always able to produce enough grape to allow the farmer paying his debts. Today in our area the production is focused on achieving the best quality in the dry, semi-dry and sparkling styles. The Famoso (Famous) also called “Rambela” in our dialect is an indigenous vine only recently rediscovered. In the past it was commonly used also as table grape. It produces rather low yields but it grows also in rather poor soils and stands cold winters. Once its aromatic notes were considered to be overwhelming; today they are much more appreciated as the wines have an intense taste similar to Muscat’s. This prestigious international vine is very suited to the mild Mediterranean climate and to the clay as well as highly limestone soils of the hills surrounding Rimini (not dissimilar to the Champagne ones) where top quality grapes are grown. It’s a very early vine that gives very important wines both still and sparkling with a typical intense taste, provided the yield per hectare is kept low. It’s a white berry vine largely spread all over Italy; in Romagna it is called “Trebbiano dalla Fiamma” (Trebbiano of the Flame) because of its peculiar scarlet red grapes when ripen. The name comes from the Latin “Trebula” which means “farm” (quoted by Pliny the Elder who tells of a certain “Vinum Trebulanum”, that is “country wine”. On the sunny hillsides around Rimini it gives quite a good table wine, dry and harmonic; it is largely used with other white wines in blends under the DOC “Colli di Rimini Bianco”. 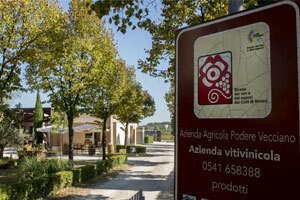 Native to Abruzzi this varietal is to be found also in the area of Rimini where its importance has increased in time. To get the best ripeness it requires warm and sunny exposure because of its limited yield but in good vintages the wine is excellent: bodied, aromatic and quite rich in colour. It’s part of the grape blend “Colli di Rimini Rosso”. The world famous Cabernet Sauvignon, perhaps the best French red vine, is native to the area of Bordeaux, where it gives long-lasting wines of outstanding quality. Proudly we assert that it found a suitable soil in our area too, and it has taken root very well: we get wines that keep its original characteristics but also express this terroir. They have very intense colour, aromatic tannins, complex and fascinating aromas and are very long living. Native to the region of Bordeaux this vine is widespread all over the world due to its hardiness and large yield. It likes medium fertile fresh soils and is a very trusty vine in our area as well. The wines we get are elegant, well structured and bodied; wine lovers appreciate their scented and fruity freshness. This vine is primarily used as a blending grape for the DOC “Colli di Rimini”. This French vine is grown in Italy as well; it’s a varietal requiring special attention due to its late ripening; it prefers warm, airy and sunny zones. 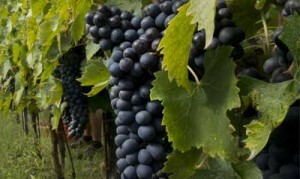 It’s a high quality varietal giving deep red wines, rich in tannins and spicy. 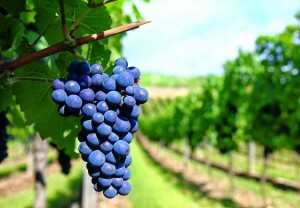 In grape blends it will create more complex and enjoyable wines.